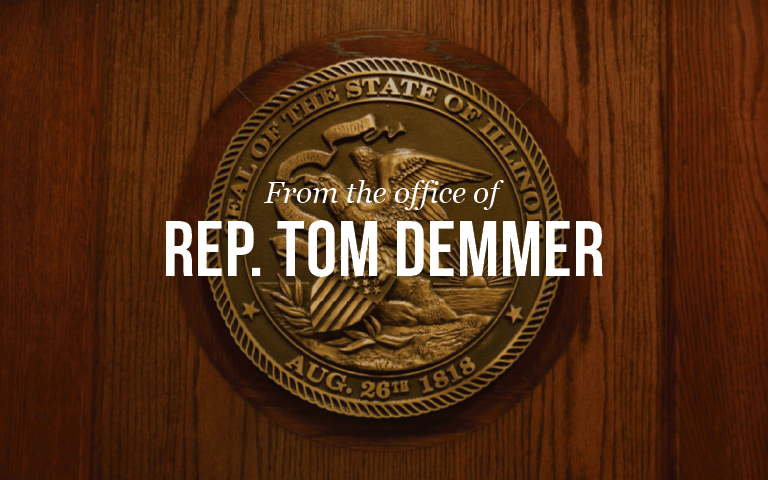 State Representative Tom Demmer successfully negotiated a bipartisan State Budget agreement which results in “No New Taxes” and provides stability and predictability as well as takes steps to put Illinois on a far better fiscal footing. The $38.5 billion spending plan offers new pension reform measures like voluntary buyouts and capping end-of-career salary increases that cause pension spiking, which should help local school district control costs. The new school funding formula is fully funded in this budget, ensuring K-12 schools receive the funding promised to them. State Elected Official pay raises for legislators are prohibited. Local Governments will receive an over $120 million increase over the current budget. A new Adoption Tax Credit is created and a new scholarship program to retain students in Illinois higher education system was created and funded with matching funds from universities. Rep. Tom Demmer was the chief negotiator for the House Republicans in the budget negotiations along with Rep. Greg Harris negotiating on behalf of the House Democrat caucus. Both negotiators were very complimentary of the good faith negotiations between all sides.